Chances are that you probably haven’t heard of the port-out scam. However, just because it is something that has yet to attract widespread attention doesn’t mean it’s not a threat you should take seriously. Let’s take a look at why. It’s very common for people to take their existing phone numbers with them when they switch mobile provider. Recently, unscrupulous individuals have been taking advantage of the ease with which this can be done by porting other people’s numbers and essentially taking control of them. Here’s how it works: Someone calls your carrier or visits the store and pretends to be you. They then instruct the provider to port your number to a new carrier. Without warning, you find your cellphone service has been cut off, and some stranger has complete control of your number. A variation of this is SIM hijacking, which operates in a similar way but the attacker orders a new SIM. Losing the ability to use your phone is the least of your worries. Once the attacker has control of your phone, they will receive all your messages. If you have set up banking security measures that involve SMS authentication, the hijacker can potentially access your bank account and many other sources of highly sensitive information. Fortunately, it’s really easy to avoid the port-out scam. All you need to do is add a security PIN to your account. From that point onward, people will not be able to make any type of change to your account without citing the PIN. As such, you are protected against both the port-out and SIM hijacking scams. Most carriers will let you set a PIN quickly and easily online or via the phone. Tech Experts recently became a factory authorized dealer for the ESI line of advanced communications business telephone systems. The ESI product line fits very nicely with our IT and computer services. ESI telephone systems offer many features small and medium sized companies will find useful, but our primary motivation in taking on this product line was ESI’s converged voice and data platform. This is the future of business communications, and we’re excited to work with a company that is in the forefront of that technology. What does “converged voice and data” mean? Simply, it is the combining of your data services, such as e-mail and Internet access, with your voice services, like voice mail, remote telephones and branch offices. Remote telephones: Through the ESI telephone system, you can “Internet-enable” your phone system through a very secure VPN. You would then take a system feature telephone (just like the one that sits on your desk at the office) home, plug it into your high speed cable or DSL Internet at home, and the phone will connect to the office telephone system. You have 100% of the features, services and extension capabilities at home, just as if you were sitting at your desk. This is perfect for taking orders at home, or for spending time working from home. ESI-Link branch offices: If your business has multiple locations, you can connect ESI telephone systems together through the Internet – eliminating long distance charges between offices, or expensive tie-lines. The systems interoperate as one unified system. Unified Messaging: Receive your voice mails through email. This lets you forward them to others, keep copies on your computer for future reference, reply through e-mail, etc. This is a very cool feature. Of course, the system offers a ton of other features any business would find useful. Take a quick look through these built-in features. How many would help your business? Live call recording: With the touch of a button, record a conversation, conference call or personal reminder memo for later playback, as well as moving or copying to others’ mailboxes. Perfect for making sure orders are correct. Scalability: ESI Phone systems grow with your business. Most systems use the same telephones. As your business grows, you add to – not replace – your ESI telephone system. 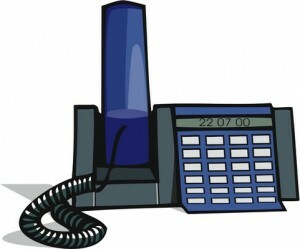 Auto Attendant: Perfect for over flow call situations, or for a busy office. Provides extensive call routing, including directories, automatic day/night operation, off-premises transfer, pager notification and more. Automatic Call Distribution: If you have a busy service or sales department, this is the feature for you. ACD places sales or service personnel in departments and either (a.) routes a call to the longest-idle agent or (b.) places the call on hold if all agents are busy and then immediately connects when the first agent is available. Constantly updates Feature Phone display regarding queues and wait times. Voice Mail Delivery: You can program the system to call your cell phone when you have a voice mail, saving you from having to call in and check your voice mail. Enhanced Caller ID: Lets you see who’s calling, screen calls going to your voice mail, and return calls with a single key press. Verbal Help and Verbal User Guide: This is the most unique feature of any telephone system we’ve seen. A full, spoken tutorial is available at any time, as well as feature by feature help. No more looking at programming books! These are just some of the interesting highlights. The system supports most all features you’d find on a business telephone system, at an affordable price. If you’ve been considering a new business telephone system, we’d appreciate the opportunity to talk with you about the ESI systems and how they can help your business grow.